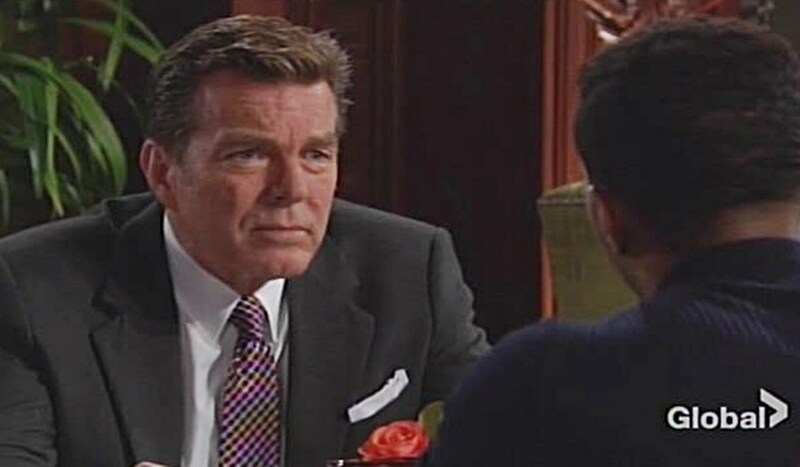 Friday November 9, 2018: Jack asks Kerry out, Phyllis wants to stop meeting with Victoria and Nikki, and Rey stops Sharon from quitting her job. Nikki arrives at Sharon’s place and wonders what else Rey found at Chancellor Park besides the watch. Mariah appears and notes that’s the question on everyone’s mind. She figures it’s only a matter of time before he makes an arrest. Mariah alludes to it being a very big day for her. Sharon asks if it’s work-related. Mariah says no, she’s just off to meet Tessa. Once alone, Sharon and Nikki go over the possibilities surrounding Rey’s investigation. Nikki wants Sharon to go to the station and find out what’s going on. Sharon can’t do that – she’s concerned Rey can read her and wants to put distance between them. Nikki hollers that Sharon’s going back to that station and do what needs to be done! At Jabot, Kerry joins Phyllis to find her obsessing over the JT story. She muses from what she read he was no prince. Phyllis turns the conversation to the lab. Kerry reports things are going well with replacing the products, but notes some of the lines are bloated. Phyllis agrees, and looks forward to her recommendations. She frets that everything is riding on this. Kerry plays to win. At the Club, Nate tells Victoria how sorry he is about the turn in the JT investigation. She admits she’s preparing herself for the worst. Nate offers support, but she wants to be alone. Jack joins Nate and they discuss Lily’s transfer and his mother, Olivia, being with Doctors Without Borders. Talk turns to Ashley’s departure, which was a loss for Neil as well. Nate’s sorry to hear Jack doesn’t expect her to return for a long time. Jack predicts Ashley will feel even more competitive toward Jabot with Phyllis as CEO. The conversation turns to Dina’s Alzheimer’s. Jack laments the sophisticated women he once knew is lost to him now. Nate advises him to hang onto the good memories. At Crimson Lights, Mariah nervously approaches Tessa seeking an answer about living together. Tessa loves her and wants to spend as much time together as possible. Mariah doesn’t want her to feel pressured. Tessa thinks Mariah is scared and reassures her. They discuss where to live, and Tessa refuses to have Mariah support her; they’ll split the rent. She suggests they move into her studio for now. Nikki arrives at Victoria’s office as she’s ending a call with Reed, who is having a rough time. Victoria relays that he’s a wreck, but doesn’t want to come home. She feels ashamed and guilty, and worried it will come out they killed his father and covered it up. Nikki needs to believe they’ll come out of this unscathed, and says Victoria needs to as well. At the station, Sharon informs Rey she’s resigning. Rey protests – they make a good team. Sharon cites that as the problem; they’re too good together. Rey doesn’t want her quitting because they almost crossed the line. Mariah arrives and speaks to Sharon alone about her decision to move in with Tessa…today. Sharon asks why the rush. Mariah has to jump in. Sharon wishes her luck. After, Rey admits to Sharon he has feelings for her, but must honor his commitment to his wife, Mia. Sharon ruminates that they can’t help how they feel, but must do the responsible thing. She’s felt something too, and must quit her job to make sure they do the right thing. Sharon tries to fish about the JT case, but Rey can’t tell her anything. He makes another pitch for her not to quit her job – they’ve cleared the air and he doesn’t want to be responsible for her leaving. Sharon says she’ll be at her desk if he needs her. Nikki and Victoria drop in on Phyllis at Jabot as she and Kerry are discussing doing a men’s line for Jabot. Introductions are made with Kerry, who exits. Phyllis is furious at the interruption and snaps about having a business to run – she wants Victoria and Nikki to leave her alone. Victoria thought they should touch base. Phyllis isn’t interested in speculation. Nikki warns about Sharon threatening to quit her job, and Victoria stresses they have to remain united regardless. Phyllis announces she’s out, but then concedes they couldn’t break their bond if they wanted to. She insists they stop their get-togethers, however, too many people have become suspicious, including Rey. Vikki and Nikki agree. At Sharon’s place, Mariah looks around at the first real home she’s ever had before leaving with Tessa. At Tessa’s studio, Mariah tells her it’s perfect – it’s home. Mariah struggles to find space in the closet as Tessa has a bunch of packed bags. When Mariah returns to the car, Tessa opens a bag to reveal a stash of cash. 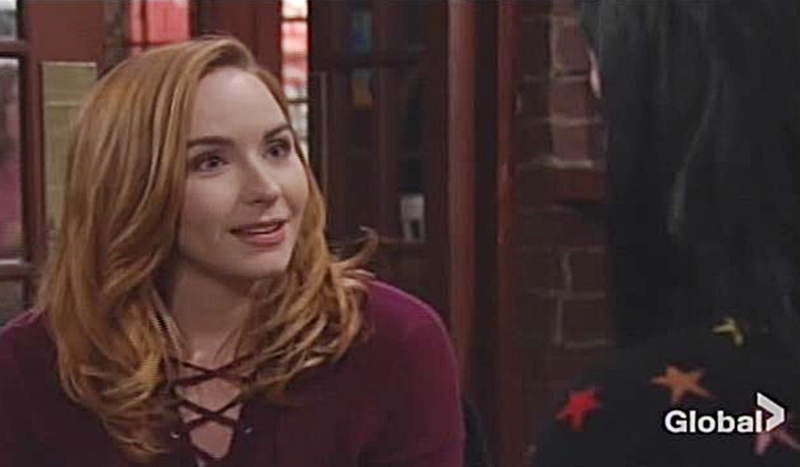 Rey’s wife arrives in Genoa City.